It is with deepest sadness that we announce the loss of one of our own. Abraham DeGalicia passed away Sunday, August 2nd, 2015, from complications brought on by liver cancer. Abe began working for Motorsport in 1999. Many knew him as the helpful voice on the other end of the phone. Some of you had the privilege of meeting him in person at our store or during the Z-Car West Coast Nationals. 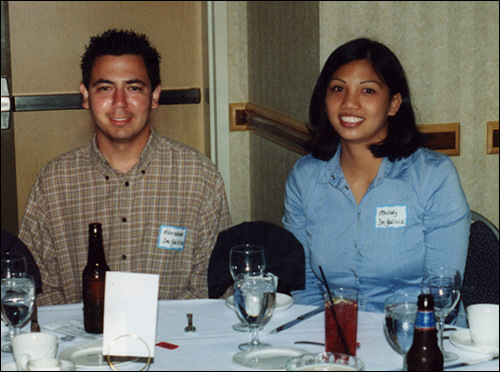 Abe & Melody at the Z-Banquet. 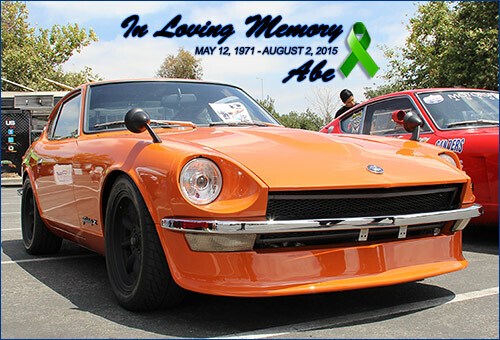 While a treasured member of the Motorsport team, and a great resource to the Z hobby, Abe was most importantly a devoted husband, father, son and brother who cherished his family. He will be greatly missed by all of us who admired and cared for him so much. Our prayers are with his wife, his sons, his parents, his siblings, and the many, many people who loved him. Goodbye for now, and God bless you, Abe. 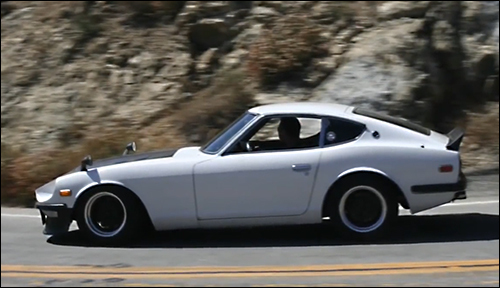 Abe especially enjoyed the ride in his 240Z.